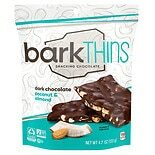 Shop BarkThins Snacking Chocolate Coconut Almond (4.7 oz. )4.7 oz. 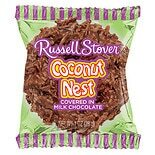 Shop Russell Stover Milk Chocolate Coconut Nest (1 oz. )1 oz. 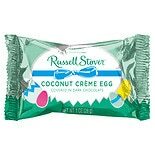 Shop Russell Stover Coconut Cream Egg Dark Chocolate (1 oz. )1 oz. 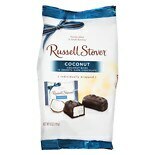 Shop Russell Stover Coconut Bites in Smooth Dark Chocolate (6 oz. )6 oz. 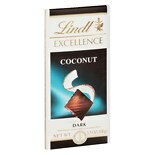 Shop Lindt Excellence Dark Chocolate Bar Coconut (3.5 oz. )3.5 oz. 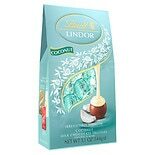 Shop Lindt Lindor Truffles Coconut Milk Chocolate (5.1 oz. )5.1 oz. 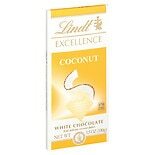 Shop Lindt Excellence White Chocolate Bar White Coconut (3.5 oz. )3.5 oz. 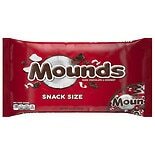 Shop Mounds Snack Size Dark Chocolate Coconut Filled (11.3 oz. )11.3 oz.